Om Pantry and Coffee is a charming, wholefood café in Rochedale South serving delicious wholesome meals along with organic coffee and raw treats. Located on the ground floor of Om Yoga Studios on the corner of Rochedale and Underwood Roads, this health-conscious café provides plenty of seating inside and out. 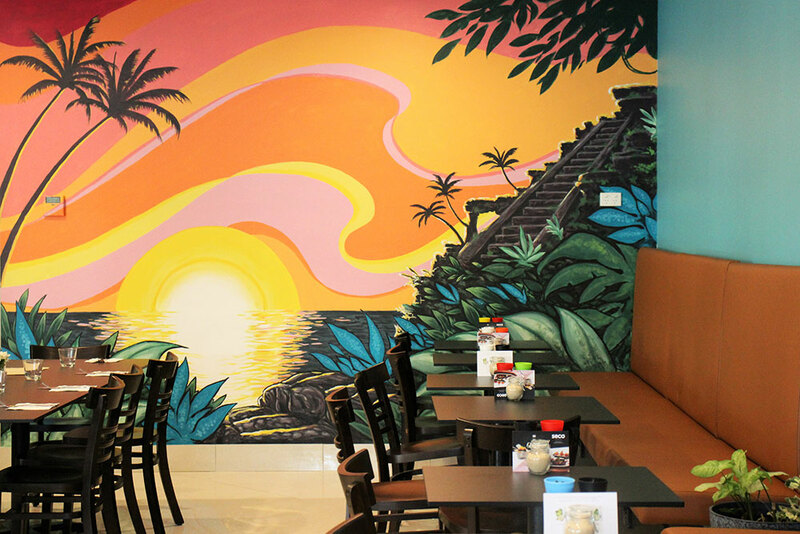 The décor is simple except for a colourful, Mayan-inspired mural created by a local artist. Everything on the all-day menu is made in house with quality, locally sourced produce and organic ingredients when possible. 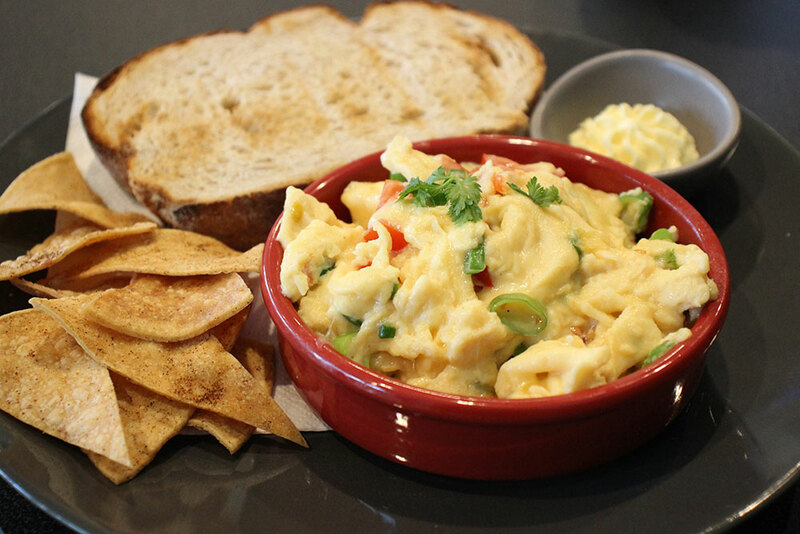 Breakfast fare ranges from house made granola with whipped ricotta and seasonal fruit and stove-top porridge with house made fig compote and Greek yoghurt, to migas scrambled eggs with chilli, cheese and fresh tomatoes, and Mexican chilaquiles – tomato salsa, avocado and cheese served with house made crispy tortilla strips. Lunch-style dishes include tamale bowls of lime rice, cabbage, corn and coriander, and flatbread toasties filled with grilled tofu and vegan cheese, slow cooked beef brisket with black beans, or pulled pork with pickled cucumber and cheese. 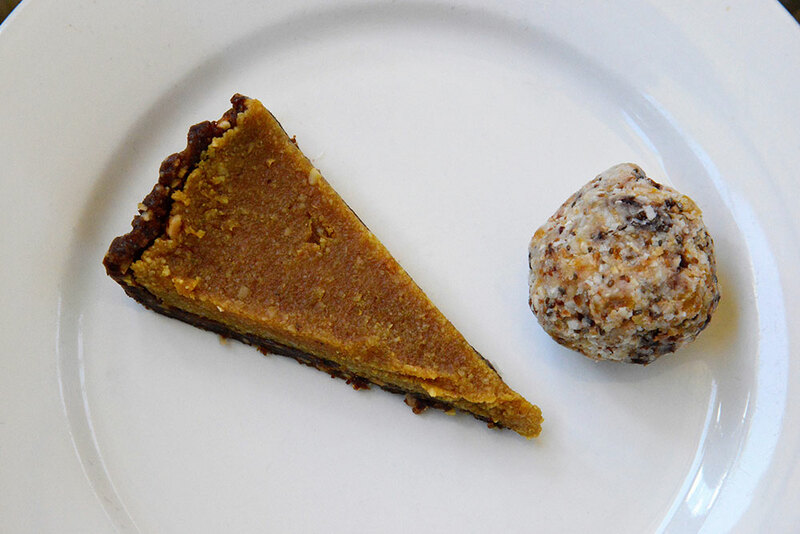 There’s a super selection of healthy treats on offer like cacao and coconut bliss balls, hemp breakfast cookies, gluten-free banana bread, superfood slices and raw lemon cheesecake. Drinks-wise, there’s Merlo coffee and organic loose-leaf tea by Graceville’s QTea Co.